> 11 Passenger TV/DVD Storage!! 2009 Ford Starcraft Bus 11 Passenger TV/DVD Storage!! 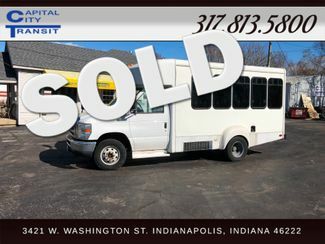 2009 Starcraft Bus with Tons of Extras!!! Overhead Storage, Rear Storage, TV, DVD, Back Up Camera, and much more!! Air Conditioning: Dual compressor system for front and rear! System has been completely overhauled and works great! New compressors and all!